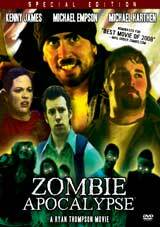 Zombie Apocalypse is a low-budget zombie flick done right! Made for only $5,000 in Michigan USA, ZA follows a couple of college students, a goth chick, and a machete wielding stranger as they battle the hordes of the undead, post-apocalyptic raiders, secret agents…and each other. 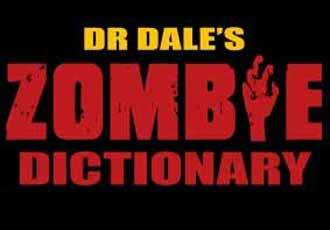 It has blood, violence, crowds of zombies, and a story that’s “a cut above the rest” according to the Zombie Movie Database. With equal parts action, drama, suspense, and comedy, Zombie Apocalypse is the zombie equivalent to a home cooked meal; everything you love and expect from a zombie movie, comforted knowing that there’s somebody still out there who “gets it”. Nominated for best movie of 2008 by MailOrderZombie.com! We scored an interview with it’s director – Ryan Thompson. 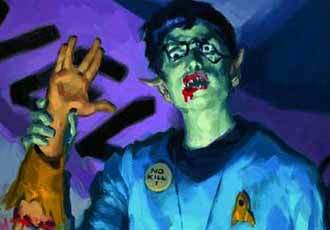 Zombie Command: Your previous entertainment work ranged from romantic comedies to sci-fi. Why did you decide to make a zombie movie? 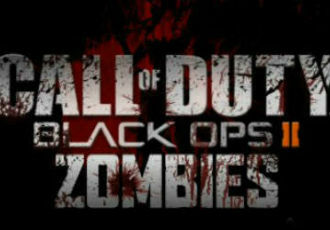 Ryan Thompson: I’ve always been a fan of the zombie genre, but I’m especially into post-apocalyptic sci-fi situations. Situations of desperate survival with a plausible science fiction background. I figured I could combine both this interest and the global popularity of zombies in Zombie Apocalypse. We get at a hint of this in Zombie Apocalypse, but these apocalyptic themes will be explored and expanded on much more in the Zombie Apocalypse graphic novel series and in Zombie Apocalypse 2, scheduled for shooting in 2011. ZC: What were some of the difficulties faced in shooting the movie and can you explain a little about how you raised the budget for the movie? RT: We put together the money for the movie in a variety of ways. Some enthusiastic cast and crew members and I held a bake sale called “The Bake Sale of the Dead” on my college campus where we made a good $20/hour, profit, just selling tombstone cupcakes and eyeball snacks and the like. We also shot the movie in two segments, which in hindsight is completely regrettable. The idea was to shoot the first act, then sell it as a short film to raise money for the rest of the movie. Turns out nobody is interested in 30% of a movie, so we shot the second two-thirds of the script out of my pocket, and with generous donations from cast and crew people who were highly involved. ZC: The movie was made on a shoestring budget of $5000. What do you think of the news about Colin; the zombie movie filmed for just $70 that was on show at Cannes recently? I have a hard time believing the guy was able to feed all his people for $70, but I do appreciate his thriftiness and attitude towards the no-budget movie; getting your people to supply their own gear, their own transportation, just because they believe in the movie. Good for them! I just think the marketing people are throwing that $70 budget around rather loosely. I guarantee that if you added up the receipts of video tape, cables, light bulbs, coffee, and fake blood…you’re going to break a hundred bucks no matter how cheap you are. 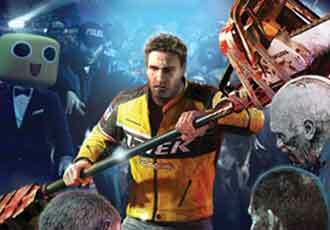 ZC: Why do you think there’s this new renaissance in the zombie genre? Are people fed up of emo teen vampires? RT: Ugh, absolutely. It’s not that I hate vampires…I just hate vampire fans. ZC: Romero famously used real animal guts in his films how did you achieve the zombie look you were going for and what was the hardest special effect to pull off? RT: If you can do it for real, it’s sort of impossible for it to look any better! We have a graphic eye-rip scene towards the end of the film where we used a real cow eye. We also used real intestines to dress a couple of scenes. The zombie look was achieved by using minimal makeup, a slew of gruesome home-brew latex appliances, and lots and lots of blood.We never failed to run into problems when trying to create realistic blood squirts and splats. We rigged up a hand-pump garden chemical sprayer filled with fake blood to a few victims…always with unintentionally hilarious results. Either the timing was off, or the blood just wouldn’t stop spraying! The later is, of course, not even close to a bad thing. ZC: The trailer shows Miller (Kenny James) being pushed into a big puddle, what was the worst thing you managed to get an actor to agree to? RT: Ooh, the puddle was close to the worst thing. On paper it doesn’t look so bad, but then you’ve got to understand it was barely above freezing when we shot that! The crew was wearing winter coats, hats, and gloves, while poor Ken was left to soak in that ice-cold puddle. He caught quite the cold after that! But that was nothing compared to shooting the battle royale at the movie’s conclusion. Temperature torture on the opposite end of the spectrum, it was well over 100 degrees Fahrenheit in the room where Ken and David Calkins went toe-to-toe in an all-out no-holds-barred machete fight. With real machetes. The sweat and blood in that scene? That’s real, kids. ZC: You mention you were influenced by the John Carpenter films of the 80s, did you copy his lead and write the theme music yourself or perhaps rehash the same score numerous times from previous films you made? RT: As much as I would’ve loved to write the music myself, I was fortunate enough to have two amazing musicians on board for the movie. The music was written by David Fienup and Steve Longworth who were directed specifically to emulate the simple synthesizer sounds of John Carpenter. Repeating the same theme over and over again with different inflection depending on the context of the scene. Sometimes they got it…sometimes not so much. Haha, I remember always telling Dave when critiquing his pieces, “No no…even more simple!” Still, I think the guys came up with some great themes that I’d definitely like to incorporate into the sequel – sounding even more like authentic JC! ZC: Finally, do you think Agent Net (David Calkins) will make Klingon style beards acceptable to the masses through this movie? RT: We can only hope! I’d be even more excited if Miller’s headband catches on. Ryan and the guys at Zombie Apocalypse have given us a copy of the DVD to give away to one of you lucky readers. All you have to do is leave a comment (with a valid email address so we can get in touch) and tell us your favourite John Carpenter movie! For those of you that don’t know any (shame on you), here’s a handy link – John Carpenter. Competition ends Sunday May 31st 00:00 BST. my fav. John Carpenter movie is In the Mouth of Madness. Although John Carpenter has a long list of movies, for me, at the top of the list would have to be ‘Big Trouble in Little China’. factoid: Carpenter also did the score/music for some of his movies. Um, Big Trouble in Little China, but then thats probably not what you’re looking for is it? Good work with the interview. “ZA follows a couple of college students, a goth chick, and a machete wielding stranger as they battle the hordes of the undead, post-apocalyptic raiders, secret agents…and each other.” – This sounds like the best film ever! Nice interview. I’m in. Would love a copy of the Doovde. As far as fav John Carpenter goes, it’s hard, but Ghosts of Mars stands out in my memory, if only for Jason Stathem’s awesomeness, heads on sticks and the awesome choonz. Ghosts of Mars is absolutely awful. I’m tempted to disqualify you based on the fact you wouldn’t know a good movie if one bit you. The memory of David Lo Pan uttering the words “And now, my beloved disciples. The moment of truth… the needle of love…” sends a shiver down my spine to this day. For that reason alone it has to be BTILC. Big Trouble in Little China is also my favorite, followed up by The Thing and Escape from New York. Thanks for the comments, gang! The Thing! I love it. Prince of Darkness is probably my favorite Carpenter film. Parts of that movie still creep me out! The Thing! The effects are totally amazing. Competition is now closed. However it is midnight so I’m going to bed. Winner will be posted here and notified tomorrow morning (BST). Sorry, should have posted the results here too. 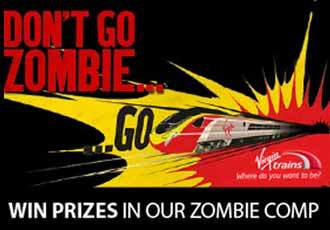 The winner of Zombie Apocalypse is – http://twitpic.com/6eek7 – @TheUnclean!!! I assigned every comment a number then pushed the button. Number 2 won so Bane gets a signed DVD shipped his way.